Henry and Eliza Spalding established a mission near the South Bank of the Clearwater River at the mouth of Lapwai Creek for the Nez Perce tribe in 1836 to educate and convert Native Americans to Christianity. During the mid-nineteenth century, missionaries set out to spread Christianity and educate Native American tribes in the Pacific Northwest. Henry and Eliza Spalding set out with Narcissa and Marcus Whitman in February 1836 from New York to preach to Native American tribes. Twelve or fifteen members of the Nez Perce Tribe greeted them in July and “received them gladly,” according to a letter published by Henry Spalding. The Nez Perce tribe gifted them horses and cared for the missionaries until the Spaldings and Whitmans parted ways in October 1836. The Spaldings stayed with the Nez Perce tribe to settle in the Lapwai Valley, becoming the first Christian missionaries among the Nez Perce. 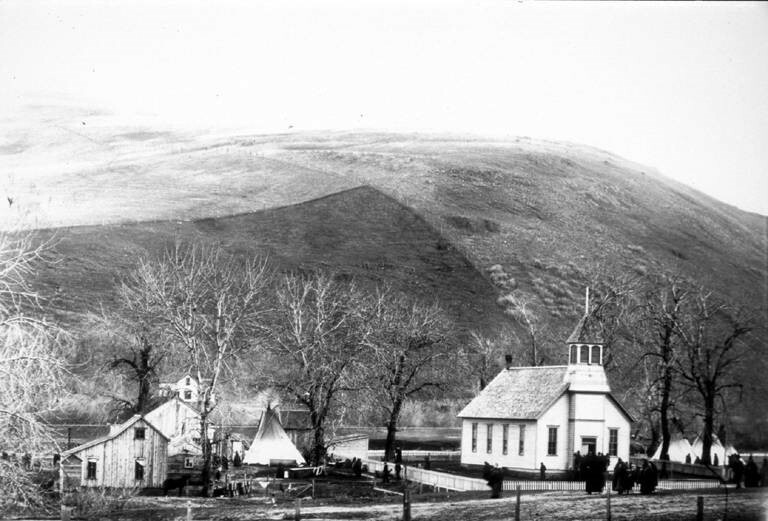 The Spaldings began educating the Nez Perce in the English language and Christianity in January 1837. The next year they moved their mission to the current site near Lapwai Creek to take advantage of cooler weather. When they moved locations, the Spaldings taught the Nez Perce agricultural practices, requiring the Nez Perce to stay in one place year-round rather than migrating with the changing seasons. They planted potatoes, vegetables, grains, and fruit trees to support humans as well as livestock and fowl. To make life convenient, a sawmill and gristmill was built in 1838 and was in operation for ten years, bringing irrigation to the area and Idaho for the first time with a mill race and canals tied to the mill complex. Unfortunately, this was destroyed in 1879 when Lapwai Creek flooded and washed away the sawmill and gristmill, as well as damaged the mill race, roads, bridges, and farms. The flood also caused Lapwai Creek to be permanently rerouted to its current location. While the Spaldings resided in the mission, they expanded the original site from a modest home to include a church, school, printing house, and living space for the Nez Perce. An 1843 letter written by Henry Spalding to Levi Chamberlain in Honolulu described the success of the school and church, stating the missionaries had over 200 people in attendance daily, with half of the school consisting of adults. The Spaldings moved from the Lapwai mission in the fall of 1848 to Oregon, but Henry Spalding returned to Lapwai in 1871. During his time in Lapwai, he received 931 Nez Perce and Spokane members into the church, as reported by Spalding in the record book of the church in November 1873. He remained there until his death from sickness in 1874. The Spalding house stood until around 1900. Only the fireplaces and irrigation ditches of the original Spalding home remain today. The Spalding site was commemorated in 1923 by the Daughters of the American Revolution with an iron fence erected around the foundation of the Spalding home site in 1935. Today the area is home to Nez Perce Historical Park where visitors may view the Spalding Presbyterian Church, the Northern Idaho Indian Agency’s cabin and agent’s residence, remnants of the Spalding Mission, and Lapwai Mission cemetery where Henry and Eliza Spalding are buried. 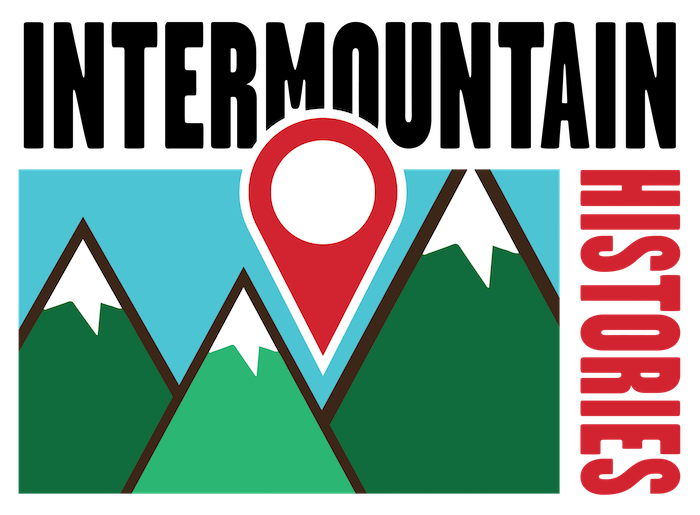 Saraya Flaig, University of Idaho, “The Spalding Mission,” Intermountain Histories, accessed April 19, 2019, https://www.intermountainhistories.org/items/show/169. Drury, Clifford Merrill. The Diaries and Letters of Henry H. Spalding and Asa Bowen Smith relating to the Nez Perce Mission 1838-1842, Glendale, CA: The Arthur H. Clark Company, 1958. From the National Park Service. “Henry and Eliza Spalding and their Missions,” available at https://www.nps.gov/nepe/learn/historyculture/henry-and-eliza-spalding-and-their-missions.html. Accessed 29 May 2018. From National Park Service. “The Spaldings Mission,” available at https://www.nps.gov/nepe/learn/historyculture/the-spaldings-mission.html. Accessed 29 May 2018. Henderson, David. "Historic Structure Report, Architectural Data, Spalding Area, Nez Perce National Historical Park, Idaho," Denver Service Center, Historic Preservation Team, National Park Service, United States Department of the Interior, Denver, CO, 1974. Available at http://www.npshistory.com/publications/nepe/spalding-area-hsr.pdf. Oliphant, J. Orin. "A Letter by Henry H. Spalding from the Rocky Mountains," Oregon Historical Quarterly (1950). Available at http://www.jstor.org/stable/20611967. Pipes, Nellie B., and H. H. Spalding. "Spalding Mission, 1843," Oregon Historical Quarterly (1932). Available at http://www.jstor.org/stable/20610759.